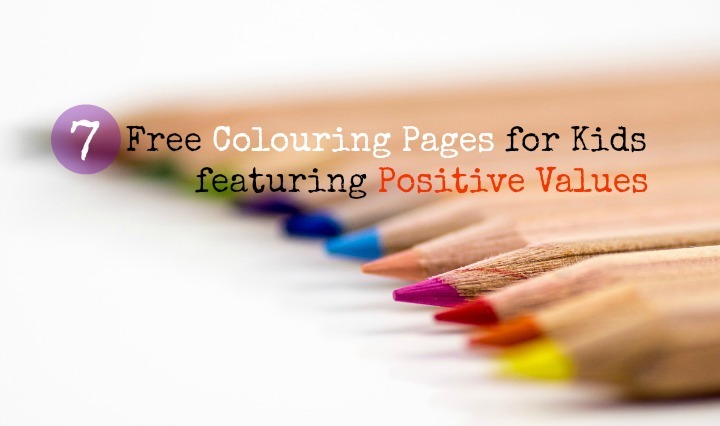 Below you will find downloads and links to seven free colouring pages for kids on positive values. 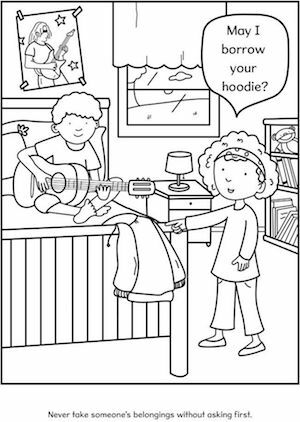 If you are looking for a quick and easy way to introduce positive values to your little one, enjoy some craft time together using these free colouring pages. They are all very simple pictures, perfect for children under six years old, including a different positive message on each one. Coloured pencils, watercolour paints, glitter, stickers and crayons are all great options for little ones to decorate these pages while you have a discussion about the pictures! The first two colouring sheets were drawn by my friend Katie from Happy Monkey Murals, featuring poems written by myself. The rest can be downloaded from other websites by following the links provided. I hope you and your little ones enjoy using them together! 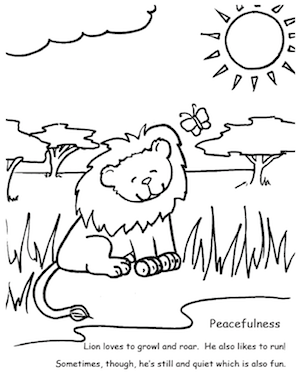 Download the PDF on peacefulness by clicking here. Download the PDF on generosity by clicking here. Find the respect colouring page here. 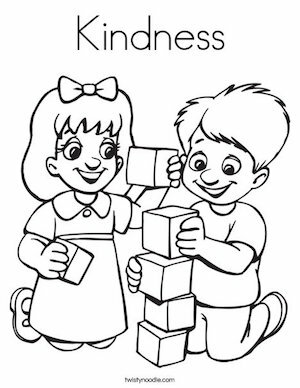 Find the kindness colouring sheet here. Find the honesty colouring page here. 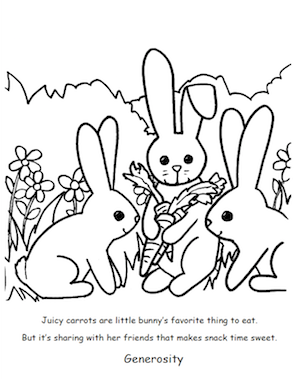 Find the cleanliness colouring sheet here. 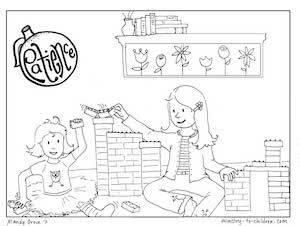 Find the patience colouring sheet here. Looking for a simple act of kindness for your little ones as well? 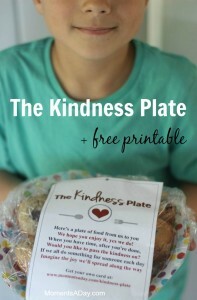 Check out my free printable Kindness Plate idea and poem.